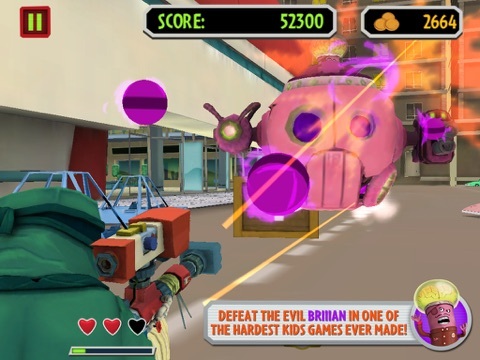 Based on a Canadian animated television show, Oh No! 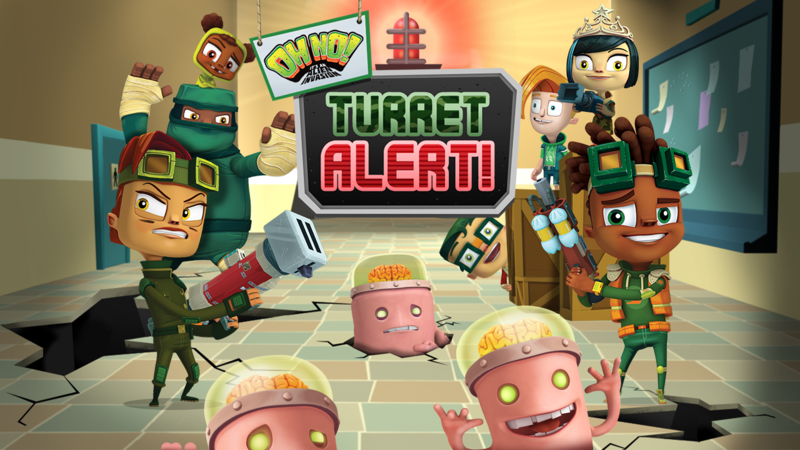 It’s an Alien Invasion: Turret Alert is a moderately entertaining game for older elementary and middle school age kids. Unlike many game apps, this is child friendly with no IAP's (in app purchases) or unprotected external links. Most elementary and middle school age boys I know are drawn to games of any kind that requires a lot of shooting, Oh No! It’s an Alien Invasion: Turret Alert definitely fits that definition. 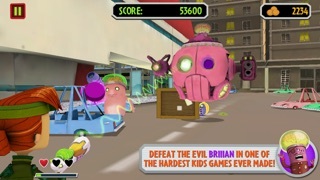 The game features characters from the television show it is based on; brainlings have taken over the mall and members of the Super Wicked Extreme Emergency Team (S.W.E.E.T) must defend their turf. Not a game just for boys, girls loving action adventures will also want their turn at the controls. In this app, users will find high quality graphics and other design elements. It is fairly intuitive to navigate to the play area. 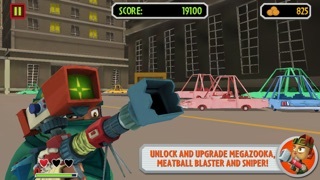 The game would benefit by including a quick tutorial or brief instructions on how to play the game, including tips on things such as increasing the number of coins collected before the screen advances and how to best battle the bad guys and provide better detail for the characters, weapons and power-ups prior to purchasing them. 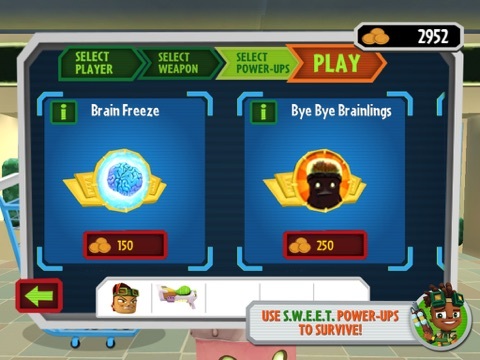 A short video featuring the brainlings and S.W.E.E.T is included in the app, outside of the play area. Those not familiar with the television show may find it helpful in defining the characters and plot behind the game. 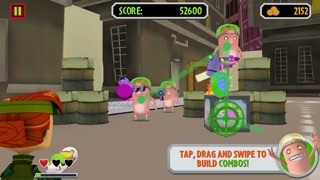 In most cases, game play is fast paced as far as how quickly the user is moved from one battle to the next; however, overall game progress can be slow and frustrating for those who can’t easily figure out how to play the game. 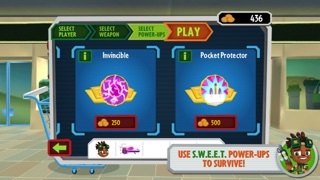 Providing brief instructions on how to increase the collection of coins and power-ups would be a benefit to many. 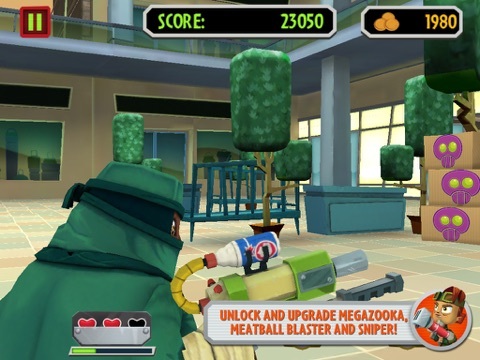 Including tips such as how to slide your finger on the screen to eliminate more of your enemies at one time and to collection multiple coins would be extremely helpful. 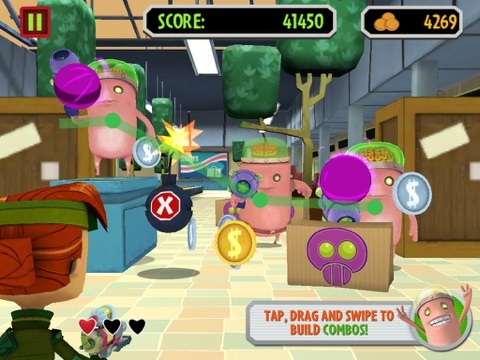 Overall the app is a good buy due to the high quality of the graphics and such. Adding features to assist those that don’t find the game play to be intuitive would increase the chances kids will return to the app and making them more likely to encourage their friends to purchase the app also. While Oh No! 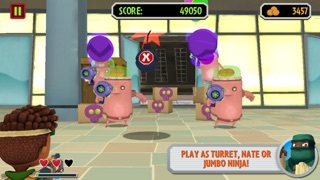 It’s an Alien Invasion: Turret Alert is a shooting game; it contains the mild cartoon violence commonly found in cartoons geared for this age range. As a parent, I really appreciate that this app does not contain in-app purchases for coins which are used to purchase additional characters, weapons and power-ups. Coins must be collected through game play. 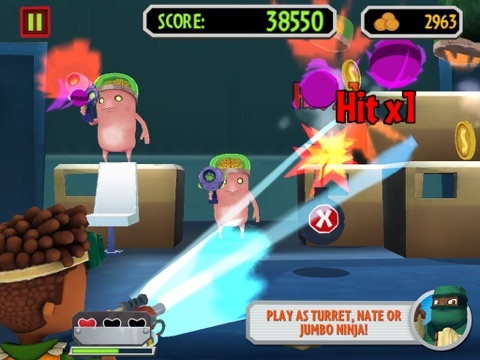 Sections of the app intended for adults are protected with the simple finger swipe method. Most users in the target audience are likely able to bypass this security method as they can read and follow the instructions provided on the screen.